Organizer improves how organizations connect with and influence their communities by providing a streamlined solution for person-to-person outreach. 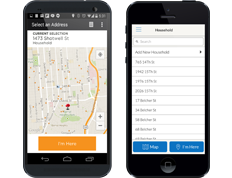 We provide a cloud-based mobile solution that replaces the effort, uncertainty, and complexity of clipboards and paper with a real-time smartphone app. At Organizer, we design with you in mind. With intuitive interfaces and accessible features, any team can get up and running in minutes. We believe that your outreach deserves to reach people. That’s why we build tools to make field work simple, streamlined, and powerful. Schedule shifts, assign workers and map turfs with ease. 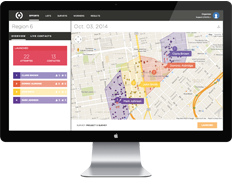 View Actionable Metrics for hands on management from any location. 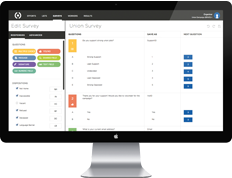 Use logic-branching surveys for smoother, more impactful conversations. 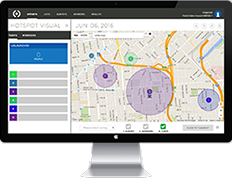 See progress and check for accuracy with real-time updates and geolocation. Integrate seamlessly with data sources like nationbuilder, PDI, and Catalist. 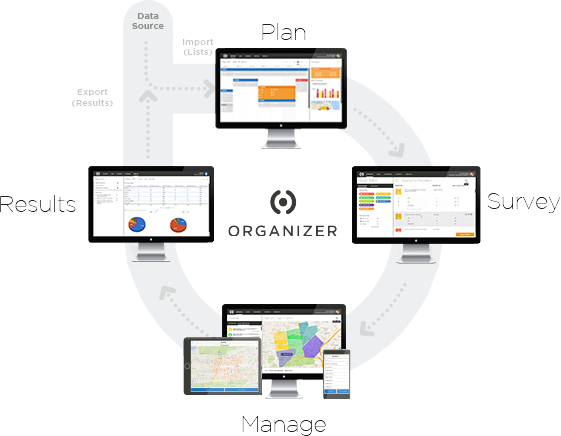 Want to learn more about Organizer? You can schedule a demo when it is convenient for you. We will show you the possibilities of our products at no obligation. 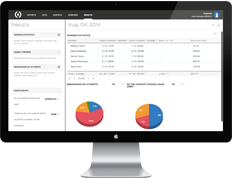 "Organizer was all the best management tools streamlined into one app. I loved it. It helped us successfully launch our startup in a new market, and build our database from the field with every new interaction"
“Through our 2014 member outreach program, Local 89 successfully beat back right-to-work in Kentucky. This victory would not have been possible without Organizer and the Organizer Team." All rights reserved. Copyright 2017 Organizer.